Creating Positive Energy Through The Power Of No! 20 Jun Creating Positive Energy Through The Power Of No! Many people will agree that ‘Yes’ has a more positive energy associated with it than ‘No’. 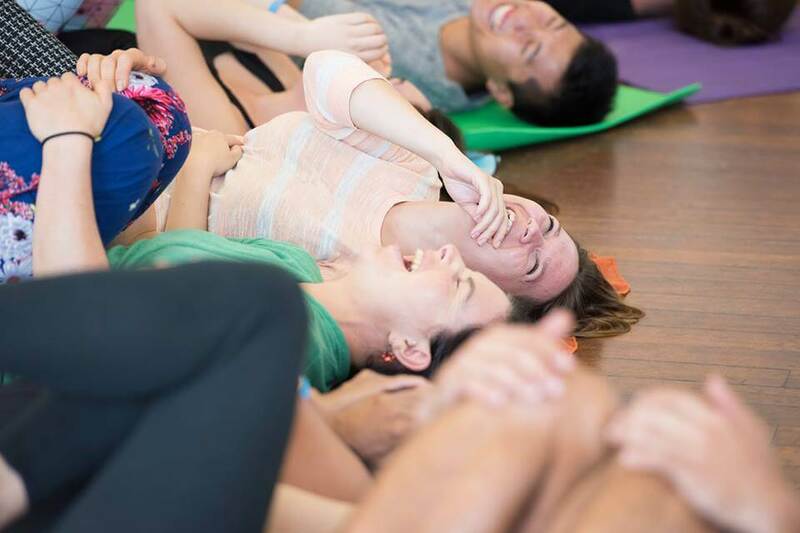 For years, as a Laughter Wellness facilitator, I have shared exercises that enable people to feel the positive energy of Yes. 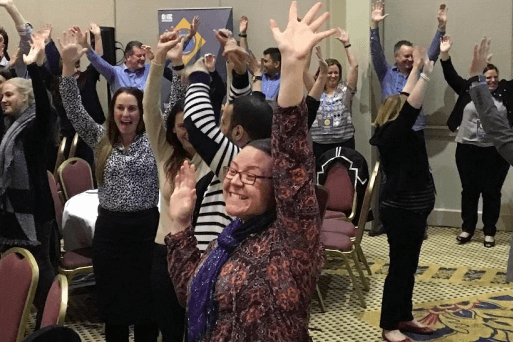 In a recent Laughter Wellness experience, that involved many regular participants, I did things a little bit differently and I stumbled upon the realisation that people were craving a space to explore the power of No. The inspiration for the No exercise came one evening when I said No to an idea. To be clear, Yes creates positive energy when it is a full-bodied Yes. Yes to an idea, an opportunity, an experience that feels good. If you want to say No and you actually say Yes, then you are likely to experience a splitting of energy. An internal tug-of-war between you and you, that doesn’t feel good. Not to mention, resentment towards the person or thing that you said yes to. In this case, a full-bodied No feels better than Yes. Alignment feels best. Later that evening, I went to an event based on the Solar Plexus Chakra with Hayley Melrose and her team of wellbeing facilitators. The Solar Plexus Chakra is an energy centre that is associated with the element of fire. It is associated with stepping into your power, setting boundaries, saying Yes to what feels good and saying No to what doesn’t. For one song, we moved around the space asserting our power to say No! At times, it was a wide-legged, forearms crossed No! Other times, it was a simple hand flick and a Nup. Such is life. At times, you may gently say ‘Nah, I don’t really feel like it’. Other times, it may be an absolute firm No, to something that compromises your values or that you really do not want. I participated in the No dance and had fun. However, in my experience, the more valuable word was Yes. I smile as I recall the fun we had with Yes! All the people that I enjoy the vibe of appeared on my path. Like magnets to each other, we danced to the beats of Yeah, Yeah and Yes, Yes, Yes! It felt good. I was convinced. Yes, is the way to go! Yes creates more positive energy, a more positive momentum and leads to more of what you want. Then I facilitated Laughter Wellness with a group that I laugh with weekly. I decided to share why I believed that Yes creates more positive energy than No. – I don’t want to spend time with friends I can’t trust. / I want to surround myself with people who are trustworthy. – I don’t want to waste my time at an event that doesn’t interest me. / I want to spend my time doing things that are a priority to me. – I don’t want to stay up all night / I want to have an early night. – I don’t want to smoke because it affects my breathing. / I want to be healthy and breathe easily. – I don’t want to work with clients who regularly cancel appointments. / I want to work with clients who value my time and appreciate me. To explore the energy associated with it, I invited participants to move around the space, meet different people and say No! It could have been a firm No, or a little Nup, depending on what felt good in each moment. We cleansed the energy of No through laughter. Then we did the same activity, this time saying Yes. We finish every Laughter Wellness session with a share circle, where participants are invited to share any thoughts, comments or feelings about their experience. Immediately, people expressed that it felt really good to say No. In the spirit of market research, for the greater good of all, I asked participants if they wanted more on the Power of No. With eyes closed and a thumb up for Yes, thumb down for No, the results were unanimous. It was an all-round thumbs-up for No! The tool of saying No is an empowering tool. It can protect us and allow us to live in alignment with our own priorities, values and desires. As with many tools, sometimes we need to practice it. When situations come up, it can be uncomfortable and even difficult to say No. No can lead to positive energy too. It can enable people to feel free, empowered and secure. 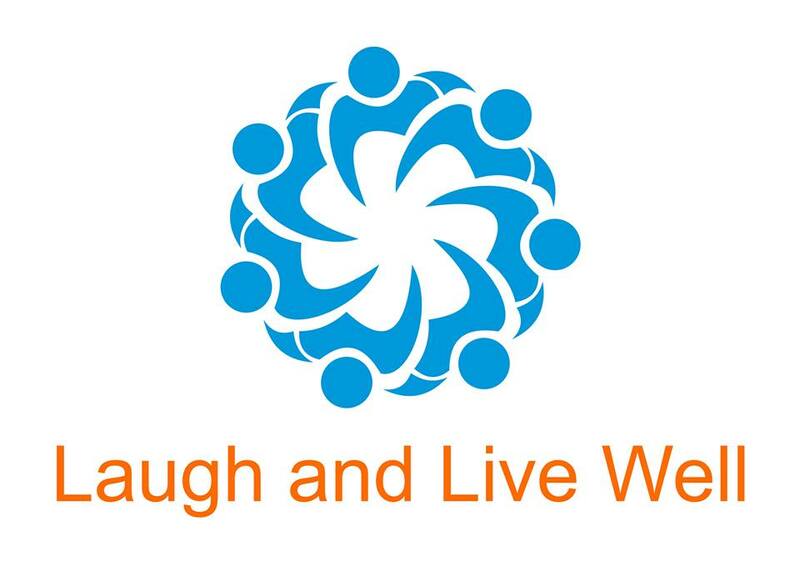 In Laughter Wellness, we create positive energy and often the Laughter Wellness experience provides a space to explore tools that may be put into practice in everyday life, for enhanced physical, mental, social and emotional wellbeing. Just before the Solar Plexus class I said ”No” to an idea. It felt great to shake it out in the No exercise and then move swiftly into the energy of Yes. The need to say no kept coming up to bigger things over a period of 10 days. Now I see why. There was one thing that I wanted to say No to and, in this case, I tried to talk myself into accepting it. This created a ‘pothole’ on my path, which made me more aware of ‘other potholes’. On the 10th day, I felt a splitting of energy. A desire to keep being open-hearted because this is who I am, yet setting clear boundaries because it is crucial to my life’s work that I feel good and aligned, as much as possible. (There will always be things that come up that help us to create new desires. This is how we grow, if we focus on the new desires as opposed to complaining about, or feeling stuck in, what we don’t want). Funnily enough, on this day, I was signed up to a workshop that had all the ingredients for a very heart-opening, soul connecting experience. During the morning, my barriers were high. 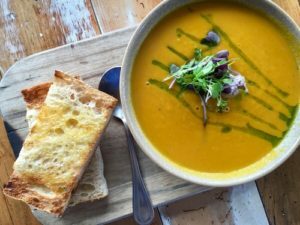 At lunchtime, I felt the desire to nurture myself with a warm and cosy café experience alone. With the theme of No so active within me, my former screenwriting teacher, Karel Segars, founder of The Story Department, would have been amused by how the café scene unfolded. He taught The Hero’s Journey and I see that The Hero’s Journey is life. We are all the heroes of our own life stories. He also taught about subtext and quoted Robert McKee who said ‘‘If the scene is about what the scene is about, you’re in deep sh*t.’’ Here’s what happened in this unscripted experience. I was keen on a particular meal that seemed warm and cosy. It came with two pieces of bread. I asked the waiter how heavy the meal was. The waiter said ‘‘It’s the bread that makes it heavy. We’ll give you one piece of bread’’, and he began to put the order through. I thought ‘Wait… this is being decided for me?’ I said, ‘‘I’ll have two pieces of bread thanks.’’ I was at the table writing some musings on the Power of No. The meal was delivered by a different waiter, who said ‘‘You wanted one piece of bread?’’ I hesitated and softly said, ‘‘Yeah, that’s fine.’’ I felt resentment. It’s easy to blame others for how we feel, but really… I created this experience. I re-connected with the waiter and said ‘‘Actually, I asked for 2 pieces of bread.’’ That felt better. The bread was soon delivered. This was clearly not about the bread. It was about being heard. Standing in my power. 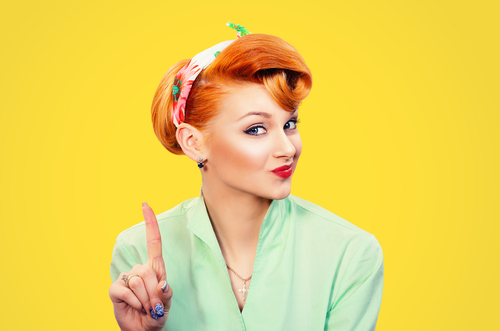 Saying No (the words don’t necessary matter, it’s the essence that matters – so words like ‘actually’ count). Then moving as quickly as possible towards what I did want. After some self-care at lunchtime, I went into the afternoon segment of the workshop with an open-heart and a willingness to connect with others. I felt more like myself. Positive energy can be created through the Power of No. When you say No to something unwanted, it can feel like a relief. It can help you to gain clarity about what you really want. However, if you linger in the ‘No zone’, you are still focused on the problem, issue, or unwanted thing. If you complain about it with friends, post about it on social media, get more and more upset about it, etc, you begin to emphasise the ‘issue’ and make it bigger in your experience. 1. Express the No, or simply be aware of what you don’t want. 2. Appreciate the experience, for providing clarity about what you now want. This leads to growth. If you are not ready to appreciate the experience immediately, just know that things are working out for you. Always. The energy of appreciation is of a high vibrational frequency and brings more positive things into your experience. 3. Turn your attention towards what you now want, as soon as possible. Sure, you may like to consciously take some time out to soothe yourself, dampen or release pain and focus on self-care, if needed. Then move towards saying Yes to what you now want. The power of Yes, doesn’t need to be expressed with words. 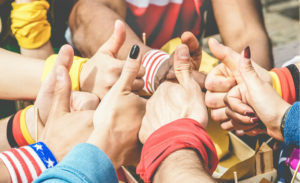 It can be experienced by feeling positive emotions such as appreciation, excitement, anticipation, freedom, security, by the idea of what you now want, knowing that all is working out, in every moment in time. If you can experience the positive feelings associated with what you want, then you are more likely to align with what you want. The key is to experience the positive feelings unconditionally. No can be an empowering tool and sometimes we need to practice it. When we realise what we don’t want, we gain more clarity about what we now want. This leads to growth and when we focus on the new desire and the positive energy associated with it, the power of No can lead to positive things!